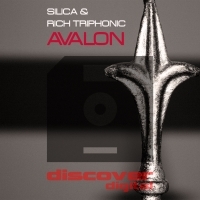 Rich Triphonic is a new face around the main Trance scene, For the last few years he has been playing in clubs around the UK and gathering a huge amount of guest mixes on other radio shows across the world. With his first track due to come out later this year & a Huge Collaboration Track also due out before the summer it proves to be a very busy 2013, With gigs already lined up around the world this year and a second visit to play in Ibiza this summer as well. Trance Sensations radio show what goes out weekly on 1mix Radio on Sundays Nights from 20:00 GMT / 21:00 CET / 15:00 EST. Also aired on these stations. and with constant support from the world's most prominent DJs & producers in the Trance Music Industry Trance Sensation is slowly moving to conquer the heart of every fan of true trance music. It all started listening to ‘BBC Radio 1’ back in 1999, with Judge Jules live on Friday nights, the way he constructed his shows and sets, the sounds were just amazing. Hearing them rush through his body was nothing other than masterful for Rich. By far he remains one of his idols to this day and he has a lot to thank Jules for, who is one of the nicest guys he’s had the pleasure of talking with and provided him with some of the best advice about the DJ’ing world. In respect to producing Rich has a lot to thank one man for, who kindly showed him the ropes a few months back. Rich is really looking forward to this new chapter in his career in what can only be described as a crazy world of DJ’ing and producing. So his thanks goes out out to Ian Standerwick for sharing with him an insight that he will surely never forget on this new journey he is embarking on. Rich has learnt following Ian’s recent success that hard work and determination can pay off. His dream as a trance artist would be to play alongside the likes of Paul Van Dyk, as he brings so much energy and life to his shows and you never know what to expect next from one of his jaw dropping sets. Rich has firmly placed this as primary goal and one day he hopes with hard work and determination he can achieve this. 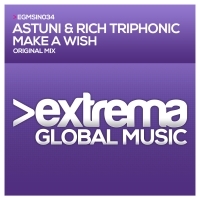 On the production side of things Rich has set himself many goals and top of the list would be to work on a collaboration with Sean Tyas. “Sean is an absolute genius when it comes to different styles, the way he manages the revolving trance sounds whilst still keeping the uplifting element of the track from start to finish”.